As many of you will know, Mr Toad and I became Mr and Mrs shortly after the start of our journey with Toad’s Mill. We received many wonderful gifts of congratulations and one of them was a brand-new bread machine. Neither he nor I have ever pretended to be world’s leaders in baking, we either produce house bricks or one of our genuine delicacies “Flat Breads” (with a sneaky lamb kebab is just heaven!). Receiving the bread machine from my wonderful Aunt and Uncle is a true blessing in disguise, we are even lucky enough to have a Speciality Spelt Loaf setting on ours. 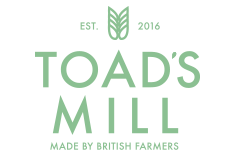 Now, spelt flour is widely known to have a rather excitable nature, proving more quickly than your average bread flour – due to the high protein content and quality of our Toad’s Mill spelt flour it is a very active and delicious flour. I have played around with the bread machine following the recipe, increasing the hydration, decreasing the hydration and six months on and I think I have finally cracked the art of making a Light White Spelt loaf. It is always a fabulous feeling when you lift the lid after hearing the three beeps and you can see a nicely risen loaf; I have had a few occasions where a more cuboidal/square loaf has surprised me, but this is perfect for lunch box sandwiches with any left over Sunday lunch roast beef and horseradish, and still has a delicious flavour and ideal texture. Below is the recipe that I have been using, I have set the bread machine in advance over night for the loaf to be ready for breakfast bacon sandwiches with heavenly warm fresh bread. Put the ingredients into the bread machine bowl as they are ordered above, with the yeast in first and the water last, so the yeast does not get wet straight away. 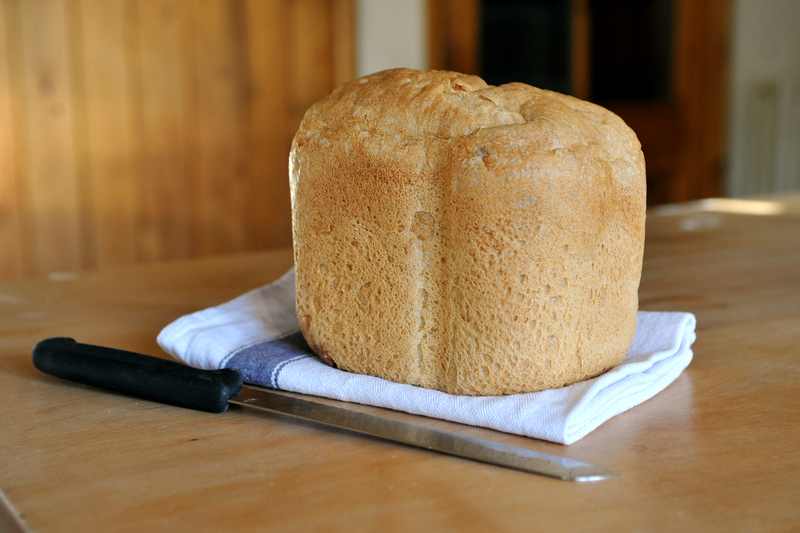 If you have a “speciality” setting on your machine then use that set to “large loaf”, the bake normally takes 4 ½ hours to produce a nicely risen loaf. You can try the “normal” setting, but this may result in a squarer loaf as Spelt does tend to prove a lot quicker than normal wheat flour and will therefore lose some of its rise.